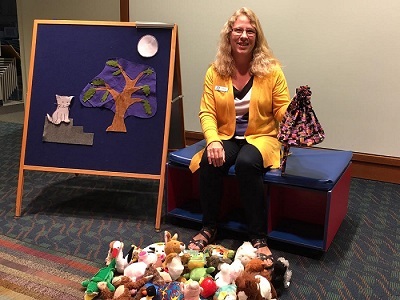 StoryBag Stories is a themed storytime for preschoolers and their adults. Each weekly theme is revealed when it is pulled out of the storybag. We’ll combines stories, songs, rhymes, a music cube and a craft to build early literacy skills and a love of reading. Join Miss Linda and Linus (the lion) to see what’s in the bag this week.